Posted November 20th, 2018 by magnifycreativeadmin & filed under . 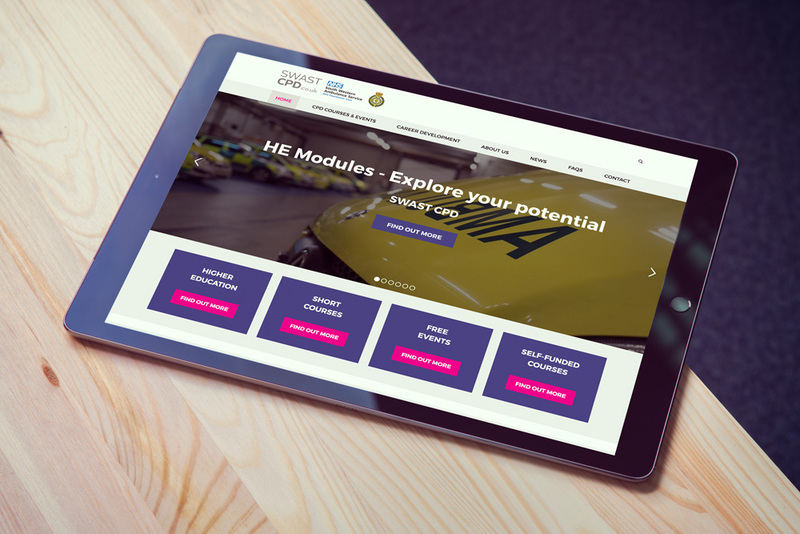 We were contacted by the CPD Lead of the South West Ambulance Service as they were looking for a company with WordPress expertise. They had an existing WP site that had reached the end of its lifespan and was proving difficult to update and administrate. Due to the wide variety of course types on offer, collecting application information had become time-consuming and difficult. The website interface had also become unwieldy for the users due to the amount of information available. Alex and his team had a long list of requirements which, when combined with a tight timescale and budget constraints, required some lateral thinking to solve. After a successful design phase, we were able to nail down the website structure and interface with the team. We then set about researching combinations of existing WordPress plugins that we could use to deliver the required functionality and flexibility. 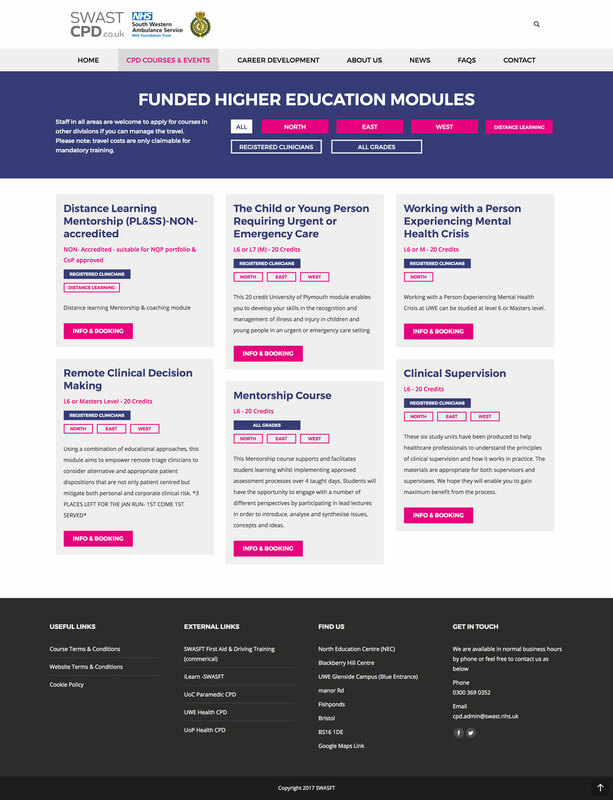 The resulting website allows users to easily navigate a large number of available courses and training programmes based on their location and qualifications. Complex application information is distilled into simple steps. The administrative team can now create customised course adverts and relevant enquiry forms with drag and drop templates. Applicant information is collected and is downloadable in CSV format for use within their internal data systems. Importantly, this project was delivered on-time, on-budget and meets the strict requirements of the NHS. “We approached Magnify Creative to build a brand new version of our Continuing Professional Development staff website for South Western Ambulance Service NHS Trust. We had a specific brief, some big ideas, but a very tight budget. Magnify were able to deliver a streamlined, professional product and a great new look. They also provided some realistic and pragmatic solutions to our more grandiose and out of budget ideas!